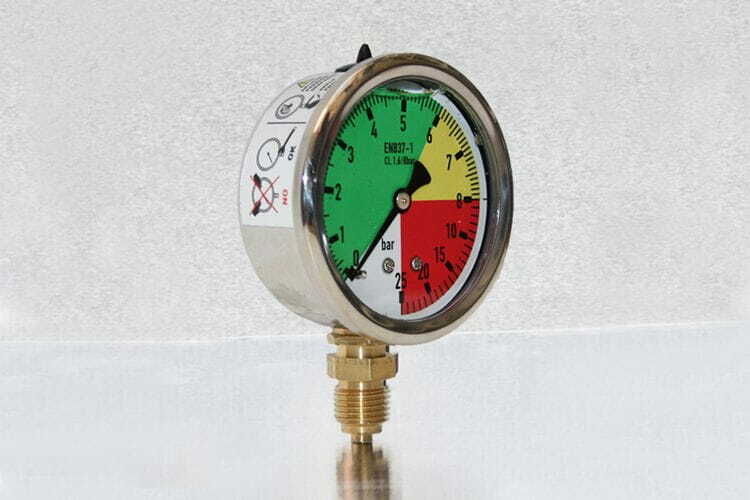 Isometric pressure gauges filled with glycerine for assemblies in hydraulic systems submitted to overpressures. Commonly used in field pulverizing systems with spraying nozzles containing diluted fertilizers. Case diameter 63 mm. Available ranges 0-25 bar and 0-60 bar.